Our fundraiser with Red Deer Lake Meats & Baba's Perogies is now underway! Register as a seller here to get going right away. 2. Clicking "Login to webpage"
3. Finding our group name Mckenzie Towne School. 1. Register as a seller on the sellers toolbar or here to receive your unique invite code. 2. Congratulations! You can now place an order and invite supporters. Inviting supporters is a great way to generate sales and not worry about collecting funds, as supporters can place and pay for orders themselves. All you have to do is deliver their order once it arrives. Your support as a seller is appreciated - Every order counts! 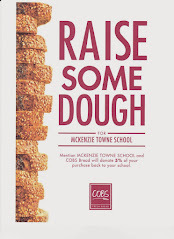 Email me at fundraising@mtsparents.com if you have questions concerning the fundraiser.